Mandrills are the largest of all monkeys. They are shy, reclusive creatures. They are only found in the rain forests of equatorial Africa. Male mandrills are extremely colourful. Their colour increases as their testosterone levels increase. Female mandrills are therefore attracted to the biggest, most colourful male, who they mate with and who asserts his dominance as troop leader. They have extremely long canine teeth, that can be used in self-defence and that when barred may appear aggressive but is in fact, often a friendly gesture among mandrills. 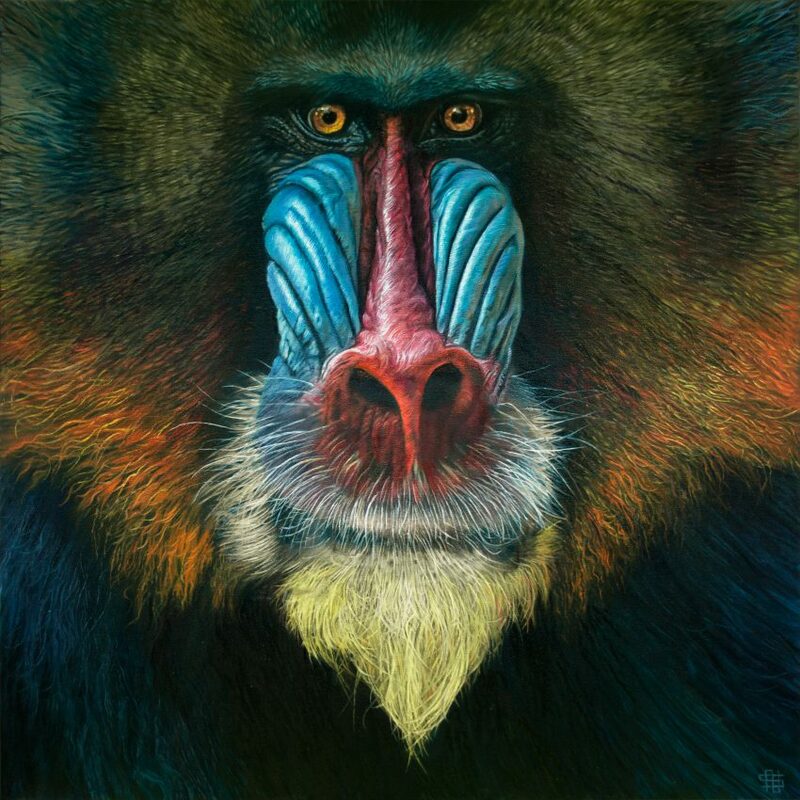 Mandrills are currently classified as ‘vulnerable’ on the IUCN Red List. They are largely affected by deforestation. Yet, hunting for bushmeat is the more direct threat. They are at most risk in the Republic of the Congo.